Living Streets is the national charity working to create safe, attractive and enjoyable streets around the UK. 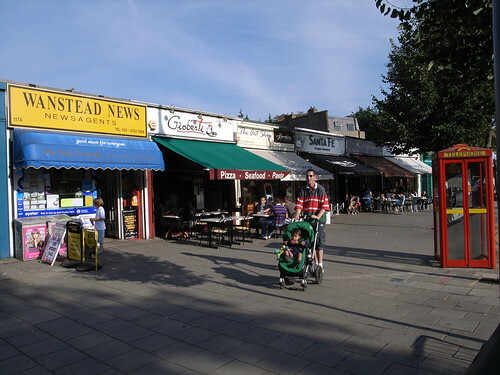 Wanstead High Street at the edge of East London is a gem. I live within walking distance, so try to do as much of my shopping there as possible. The greengrocer and I share stories of our upbringing. His son and I talk about the fortunes of West Ham football club. The pet shop owner is expanding into hardware, and is asking the local community what goods they would like him to stock! People stop to chat with our Big Issue seller. There are welcoming restaurants, busy pavement cafe’s, a friendly Post Office, public toilets (at the moment), doctors, dentists, physiotherapists and osteopaths, and too many other independent shops to mention. Rarely do I go shopping there without bumping into two or three people I know. If all this was missing from the High Street, or large faceless chain stores and supermarkets moved in, I would miss the friendly banter. I would have to drive or take a bus or train to some of these amenities, where I would not have a sense of belonging. Extra time taken driving, finding and paying for parking, or coping with public transport, perhaps for just a few vegetables! What a waste of resources.